FedEx did something special for the holidays — they offered late-night pickups to ensure same-day shipping and two-day delivery. It would be a stretch to say this news was unexpected or shocking. It was really just the next logical step in meeting the increasingly time-sensitive demands of online consumers. Amazon changed the game with free two-day delivery, and now more retailers — both physical and online — are scurrying to keep up. Of course, that puts pressure on companies like FedEx or UPS to deliver. And of course, they’ll do just about anything they can, including extending hours during periods of high volume, to make sure customers get their goods on time. It’s a cycle that shows no signs of slowing. While industries may be close to hitting the peak of what their supply chains can do, there is another, very different solution to getting products into consumers’ hands. It’s called the demand chain, and it will soon replace the processes we’ve lived with for decades. People are accustomed to convenient retail and marketplaces. The general population’s convenience addiction didn’t begin with the internet. In fact, it’s natural for businesses to make shopping easier for consumers. Major 20th-century retailers like Sears and J.C. Penny were originally in the mail-order catalog business, the antediluvian predecessor of our current two-day shipping lifestyle. And as suburban paradises sprang up around America, shopping malls began popping up as well. These new-age marketplaces attempted to draw in shoppers from suburban enclaves. Even at the opening of the 21st century, mega-stores like Wal-Mart offered the convenience of getting everything consumers needed in one trip. But today, e-commerce is king. The only problem with ordering online is that it doesn’t have the immediacy and the intimacy of shopping at a physical store. 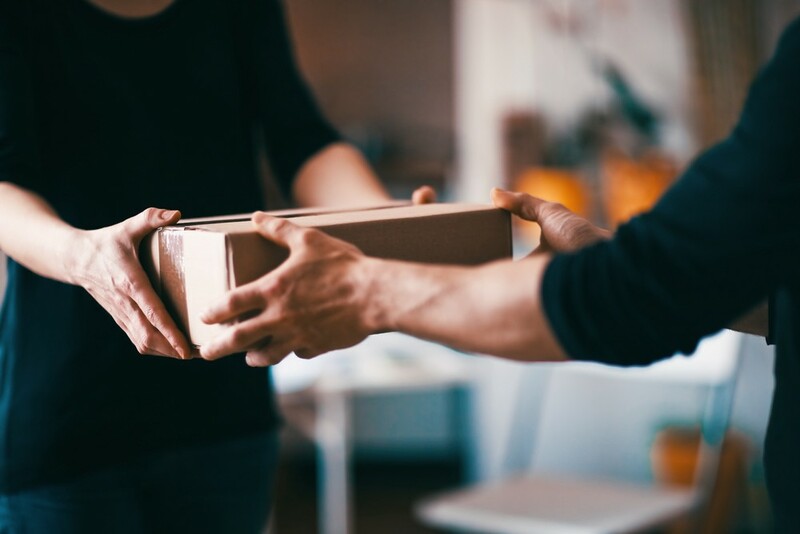 No matter how fast you type in your address and card number, you’ll still be waiting for at least one to two days before you have the goods in your hands. While companies have done their best to solve this issue by increasing the speed and efficiency of their shipping, that’s only led to a new set of problems. E-commerce increased expectations, ushering in a new era of shipping speed. Remember when five to seven business days was a reasonable window of time for something to ship? Now, waiting a week or more for anything seems intolerable. As shipping speeds increase, expectations increase, as well. Plenty of retailers, including Amazon, offer same-day shipping — the logical end-game for online shopping. But there comes a point where the supply chain simply can’t get a package to you any faster. Admittedly, it’s not possible to get everything you want via same-day shipping, especially if you live outside a major metropolitan area. Companies are realizing this and are working hard to combat negative impressions left by unfulfilled expectations. For example, did you know that Amazon Prime’s two-day shipping is only guaranteed from the moment Amazon ships it, and not from the moment you place the order? Many don’t. The constant demands for faster and more efficient delivery put a strain on even the mightiest of supply chains. And that’s why, in the coming years, the supply chain will develop into an entirely new process. Demand chains will begin to take over, shaping a possible future in which production is no longer centralized. At some point, perhaps nearer in the future than you may imagine, production will undergo a radical shift. The supply chain will turn into a demand chain — a state where production is localized and immediate. Instead of relying on centralized manufacturers to create products, companies will rely on machines producing goods autonomously at the precise location they’re needed. Rather than the complex process of placing an order, waiting for it to ship, and tracking the delivery, businesses will allow customers to get their products on demand. No longer will centralized manufacturers spend time stitching together clothes that may not even end up being bought because goods can be manufactured at local hubs as they’re ordered. This demand chain model produces no unnecessary inventory — and no burning of unsold clothes. There is just a fast, on-demand creation of goods in the exact amount necessary. It’s a more sustainable system that can help us save massive amounts of energy and raw materials that are consumed by inefficient supply chains today. And, perhaps, help to better satisfy our craving for convenience.